Welcome to theback.net, the official web page of Dr. Casey Phillips and Five Points Chiropractic and Wellness. We hope you find the information here helpful. My staff and I are excited to help you and your family achieve their health care goals and live stronger, happier, healthier lives! 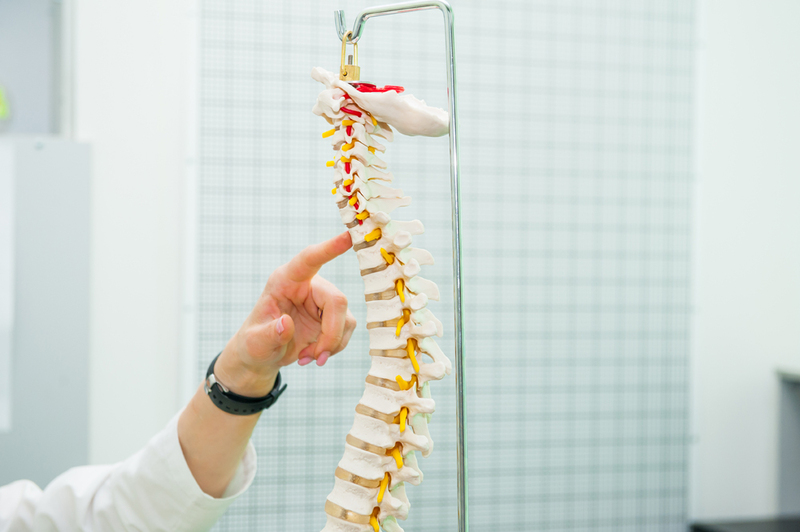 Here's the bottom line: You're having back or neck problems, headaches, problems with your discs or all of the above and you do not want to get yourself hooked on drugs. Chiropractic care has been the solution for millions of people worldwide. I have nearly 30 years of experience helping people just like you and the consultation is free so call us now! If you have any questions, you can send an email to Dr. Casey at any time. Put “New Patient Question” in the subject line. You will get a response within 24 hours! "I have benefited tremendously from the chiropractic care I received from Dr. Casey." "I've been going to Dr. Phillips for several years. It's always a pleasant experience and his staff is very welcoming. I've referred several people to his care over the years as well and have never heard a complaint!" "When I started coming to see Dr. Casey, I was having terrible burning pain from my hips and down my legs. With his adjustments the pinched nerve was corrected and I am now on my way to feeling much better! Thank you Dr. Casey and Staff!" "Before trying out Chiropractic care, I was in physical therapy for over 2 years and at the end of the 2nd year, I was no better than when I began. I have issues with my neck and shoulders, and nothing seemed to be working. After 3 weeks of care with Dr. Casey, I regained full use of my neck and shoulders. Thank you for all your hard work!!!" "Dr. Casey has a well-rounded approach to treatment and he really takes you through each phase of care with knowledge and support." "Dr. Casey has helped my body in so many ways! I was having TMJ issues really bad, and i couldn't take it anymore. Dr. Phillips plays a tremendous part with relieving my pain. He also adjusts my ankles and knees, which i never knew chiropractors could do! HIGHLY RECOMMEND HIM!" "I am a police officer for the City of Pittsburgh. Dr. Phillips has made my health overall change. From eating better, to feeling like i can take on anything that comes my way!" "I was seeing a chiropractor for years in my hometown, and started to believe that it wasn't working. I ran into Dr. Phillips from an add at the Bethel Park planet fitness, and figured i'd give it a shot...WELL it was the BEST thing i ever did for my body. I am out of constant pain, and back to having a regular pain free life! Awesome Job Dr. Phillips"